With the Turkish Basketball Super League (BSL), Liga Endesa ACB (Spain), Lega Basket Serie A (Italy) and LNB (France) nearing it’s conclusion in the next week or so, the European domestic basketball season is practically finished. While for some, this means a break from basketball. For others, (such as myself), it means scouring the European basketball hot stove and rumors over Twitter. Unlike the NBA, the player hot stove Europe stretches from now-to-August. At the conclusion of the NBA Summer League, it becomes clear who is going to be playing on a NBA team in October, and who most likely is bound back to Europe or the D-League (Well, G-League I guess now). However, in June, the biggest news centers on coaches, especially when it comes to Euroleague jobs. Which coou coaches are in? Which coaches are out? Which rumors are true? Which ones are unfounded? Of course, you could argue a lot of names will be discussed as possible hires (or fires). However, I have focused on five names European basketball fans should pay attention to this summer who will have an impact on a Euroleague club or two this summer. First though, let’s take a look at some coaches who barely missed the cut. Ufuk Sarica, Besiktas: An underrated coach who took Besiktas to the BSL Finals, and has showed some fight against heavily favored Fenerbahce (though they are down 3-0, and with the promise of an empty arena for Game 4 due to fan sanctions, they most likely will be swept). He won the BSL with Pinar Karsiyaka in 2014, which got them their first Euroleague berth in club history. He’s an excellent X’s and O’s guy, and he gets the most out of his talent. He also will be the head coach for the Turkish National Team this summer as well. However, I don’t know if he has the kind of reputation yet for a job outside of Turkey. Andrea Trinchieri, Brose Bamberg: Another season; another BBL title for Bamberg and Trinchieri. The Italian-Croatian head coach is one of the most brilliant offensive minds in Europe, and he is bound for a Euroleague A license job after succeeding with smaller clubs such as Bamberg and previously Cantu in Italy. However, he has apparently agreed to an extension with the German club, and Olimpia Milano, a rumored destination for Trinchieri, decided to go with former Hapoel Jerusalem and Siena coach Simone Pianigiani. Therefore, he’ll most likely wait at least one more year with Bamberg before making that jump to a bigger European club. Ioannis Sfairopoulos, Olympiacos: So far, nothing has been mentioned yet, and his job seems safe, as the concern now is building the roster. However, the epic collapse to rival Panathinaikos in the Greek Basket League championship (they were up 2-1 and had Game 5 in Piraeus), as well as the lack of a Euroleague championship hasn’t exactly made his status sturdy by any measure. 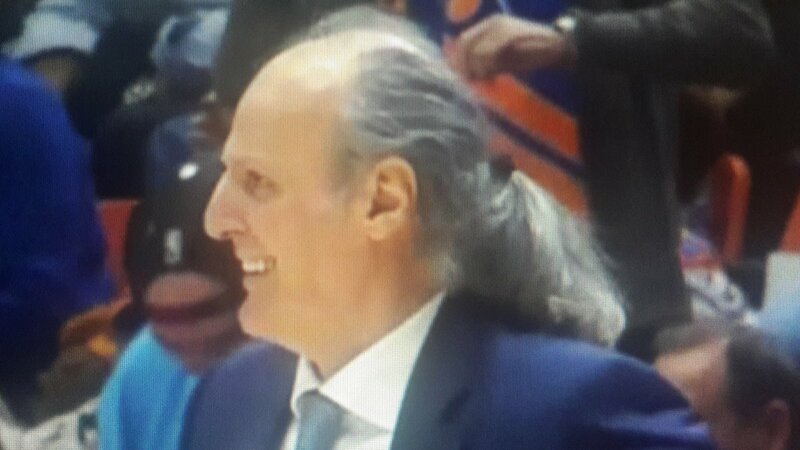 He’ll probably be the coach in October, but if he gets off to a slow start, don’t be surprised to see him as the first coach gone in the Euroleague. Dimitris Itoudis, CSKA: Rumors began to spread after the Final Four that a collapse in the VTB finals would send Itoudis packing, especially with David Blatt formerly on the open market (more on that in a bit). However, Itoudis dispatched Khimki in convincing fashion, and he once again claimed the throne as one of the top coaches in Europe. All right. Here are five coaches you will be hearing about this summer who will be having an impact on the Euroleague this summer. The Spanish Alonso was let go by Baskonia this week, as the club decided it needed to go in a different direction. Coaches don’t last long in the Basque country, as Alonso was the club’s sixth coach since 2012. That being said, Alonso didn’t have a poor season by any means. The club finished second in the ACB with a record of 23-9 in the regular season, and seventh in the Euroleague with a record of 17-13, qualifying for the playoffs. However, the Vitoria-based club was swept by CSKA in the Euroleague, and was upset by third-seeded Valencia in the semifinals (including a loss at home in game 1). Despite the solid paper numbers, it wasn’t enough for Alonso to get another year as Baskonia’s head coach. However, I do not imagine Alonso will unemployed for a long period of time. Alonso has a sterling reputation as a developer of youth talent, as he coached the Spanish U-20 team in 2013. One job he has been tied to is the vacant Barcelona job, where he was a candidate last season before it ultimately went to Georgios Bartzokas. Barcelona is going through a rebuilding process, as it is trying to restock its developmental teams, and try to build (relatively) within rather than hang their hat on veteran free agent talent (which has burned them the past couple of seasons). Alonso, with his youthful energy and Spanish coaching experience, could be the guy to fit that description perfectly. Since we’re speaking of Barcelona, the next coach that will be discussed is former Barcelona coach Bartzokas, who was let go after a disappointing season where his club finished sixth in the ACB (22-10, behind Unicaja and Tenerife, clubs they usually are head and shoulders above budget-wise) and 12-18 in the Euroleague (11th overall). Bartzokas struggled to implement his style with an aging club, and multitudes of injuries didn’t help him either in his first and only season in Catalan country. That being said, there are mixed opinions out there regarding Bartzokas’ ouster. Some felt it needed to happen, as he was just an emergency choice last year after Zalgiris head coach Sarunas Jasikevicius didn’t work out (and seems to be the case again this year, as Saras is re-signing with his home country club). Some though felt he was slighted, as he didn’t have the right mix of talent to really make his system work. An up-tempo, defensive-oriented coach, Bartzokas could be a good fit at clubs such as Baskonia (though it appears that they are going to go with former player Pablo Prigioni) or Maccabi Tel Aviv, who both play a fast-pace, but could use improvement in terms of keeping opponents from scoring the ball. Ivanovic is a Euroleague coaching veteran, as he has coached Baskonia, Barcelona and Panathinaikos to varying levels of success. He came on last year with the Moscow-based club, and this season, he got Khimki to finish second in the VTB, which qualified them for the Euroleague. Dusko is an animated coach, who gives a lot of freedom to his star players, and that helped Russian star wing Alexey Shved, who earned VTB MVP honors this year during the regular season. Unfortunately, Ivanovic didn’t end the postseason in the most inspiring way. Khimki was absolutely throttled by Moscow rival CSKA in the Finals, as they were swept easily 3-0, and really were never close in any of the three games. If that wasn’t enough, guard Jacob Pullen put the Montenegrin coach on blast, saying this about the Khimki head man according to Sportando. Without an A license, and only 1 wild card spot available in the Euroleague under the new format, Khimki can’t afford to go through any growing pains in their return to Europe’s top competition. Yes, Dusko got them back to the Euroleague, and he should be appreciated for that. But considering how this season finished, it’s entirely possible that Khimki may be looking for a replacement in the next week or so. A month ago, Laso was on the top of Europe when it came to coaches. His Real Madrid club finished with the best record in both the ACB and Euroleague, his best player (Sergio Llull) won the Euroleague MVP award, and they had made the Final Four, looking for their second Euroleague title in three years. However, since the Final Four in Istanbul, the wheels have just came off for the Spanish juggernaut. The club finished an uninspiring fourth, getting absolutely blasted in the third place game by CSKA. They have looked uninspired in the playoffs, as they went three games with 8th seeded Andorra in the first round, picked up the slack against Unicaja (won 3-0), but now are on the verge of one of the biggest upsets in ACB history, as they are down 2-1 to Valencia with Game 4 on Friday at Fuente de San Luis. It sounds crazy to see a coach go from the title of “best in Europe” to “possibly jobless” in less than a month, but this is Real Madrid, and the standard is incredibly high in the Spanish capital. The roster is one of the best-paid in Europe, and is chock full of former NBA stars (Ayon, Randolph, Fernandez, Nocioni for example). A domestic title should be the minimum expectation, and it’s entirely possible that Laso might not even accomplish that. Laso is a solid tactician, but he has come under fire for his stubbornness with rotations, and his inability to connect with the non-Spanish players on this roster. It’s possible that if they fall victim to Valencia, Los Blancos could upgrade this summer with a coach who is not only more adventurous rotation-wise, but also stronger in terms of relating better to the diverse roster. Maybe a return for Ettore Messina (who hasn’t found a NBA job despite being an assistant for a good while) or a Spanish welcome for…David Blatt? Blatt apparently turned down a 3-year offer from Maccabi Tel Aviv, a club he won a Euroleague title with in 2014. For now, he says he is staying in Istanbul with Dacka, even though they will be regulated to the Eurocup next year after primary sponsor Dogus Group jumped ship to Fenerbahce. The reasoning behind Blatt’s decision to reject Maccabi’s lucrative offer? Blatt wants to return to the NBA after next year, and he only has 1 year left on his contract with Dacka. After next season, he will be free to negotiate with NBA teams without worry of a buyout. That wouldn’t be the case if he returned to Tel Aviv (where there would be some buyout agreement, due to it being a three-year deal; I can’t imagine MTA would give him an out where he could leave scott-free after all the turmoil they’ve experienced since he left). But, as with all things in the European basketball scene, what is true today doesn’t necessarily mean it’ll be true tomorrow. Blatt, despite his pledge of commitment to Dacka, could change if the right offer comes up. What if Madrid offers him the head job with a low buyout after 1 season? What if Khimki lets go of Dusko and offers Blatt a 1-year deal, since they are only guaranteed to be in the Euroleague for that timespan? (Blatt coached the Russian National team and was rumored for the CSKA job if they parted ways with Itoudis.) I know Blatt says he’s going to be with Dacka in 2017-2018, but I can’t imagine Blatt is done listening to any possible offers that might come up this summer.